The province of Pastaza is characterized by events of great magnitude when celebrating "August Tourism Month". For this reason from 02 to August 31, 2017, Pastaza invites national and foreign tourists to enjoy the events that the tourism department of the GAD Municipal Pastaza have prepared. Wednesday 02, press conference and the presentation of the activities to be held in the month of August. Friday 04, "Tribute to the tourist development of Pastaza", where three lectures will be given for tourist establishments, concerning digital marketing, among other topics. Saturday 05, there will be the festival and contest of the "Huecas Patrimoniales de Puyo" with tourist establishments of the canton. In this day will participate the 10 best hollows and later will be chosen to the three first places. Sunday 06, prizes of the extreme fishing. Vernes 11, the first ancestral festival of the living cultures of Ecuador, with the participation of 10 delegations. In the afternoon hours will be the ancestral games and at night, the festival of dance and ancestral music with relevant groups. Saturday 12, the Miss Summer 2017, accompanied by an artistic show with artists of national and international renown. Sunday 13, "Canine Cross" where there will be several competitions of dogs accompanied by their owners. Saturday 19, "Bobonaza River" festival, organized by the Parish GAD of Canelos where they will also organize the election of Miss Tourism. Sunday 20, mountain biking Puyo - Pomona, coordinated by the Pomona Parish GAD. Saturday 26, Adventur Triunfo 2017 "organized by the Parish GAD El Triunfo, there will be several extreme sports in the complex Cascadas and Tarabitas. Sunday 27, contest of comets for all fans and in the afternoon there will be the bulls of town organized by the neighborhood Juan Montalvo. Thursday 31, presentation of "Social Tourism" with the participation of the elderly, this event is coordinated by the Council of Children of the canton Pastaza. 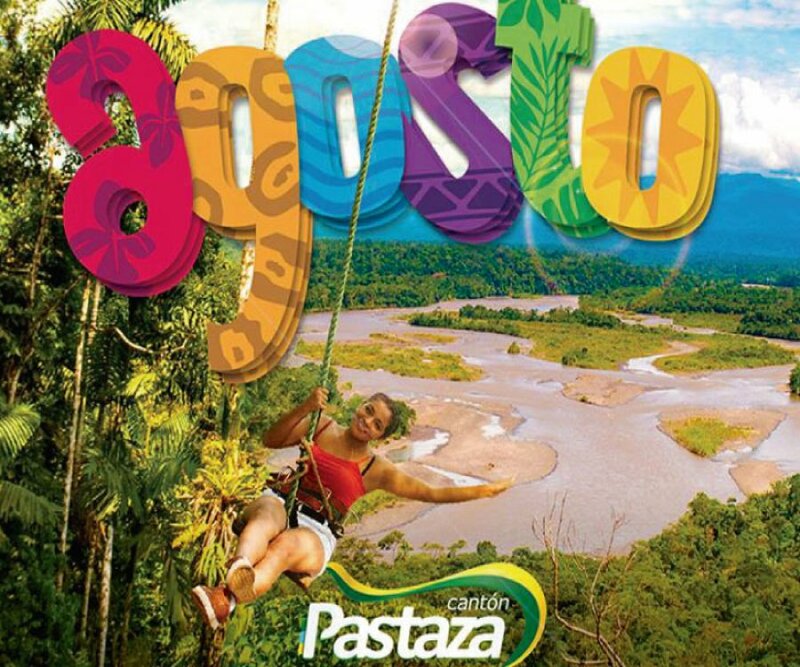 There is already printed material in circulation with all the details of the events and activities to be held to commemorate "August month of tourism in Pastaza". AUGUST HOLIDAY PROGRAM "MONTH OF TOURISM"